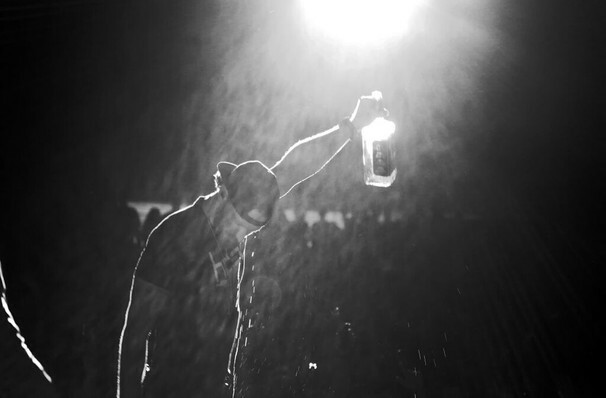 Fire up the pick-up and let the good times roll because Chase Rice is back on the road! 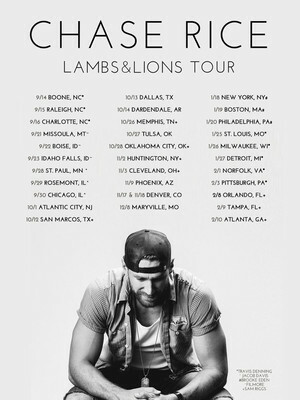 This time he's touring the Lambs & Lions tour. Rice first came into the public eye as a contestant on Survivor: Nicaragua, negotiating the reality show's pitfalls to make it into the final three. Music was always his abiding passion though, and he first grabbed Country's attention when he co-wrote Florida Georgia Line's smash hit 'Cruise' back in 2012. Two albums, and a supporting slot on Kenny Chesney's mammoth Big Revival Tour later, Rice is now one of the so-called 'bro-country' genre's biggest names. Sound good to you? Share this page on social media and let your friends know about Chase Rice at Knitting Factory Concert House. Please note: The term Knitting Factory Concert House and/or Chase Rice as well as all associated graphics, logos, and/or other trademarks, tradenames or copyrights are the property of the Knitting Factory Concert House and/or Chase Rice and are used herein for factual descriptive purposes only. We are in no way associated with or authorized by the Knitting Factory Concert House and/or Chase Rice and neither that entity nor any of its affiliates have licensed or endorsed us to sell tickets, goods and or services in conjunction with their events.